Fall 2015 Issue Out Now! The Fall October/November 2015 Issue is the forty first issue of Auxiliary, a magazine dedicated to alternative fashion, music, and lifestyle. This issue features Ashlei Decay on our cover and as our PinUp, an exclusive photoshoot and interview with Mr.Kitty, a dark gala fashion editorial, a big top fashion editorial, a rocker fashion editorial, and a Witchy Dress Must feature. It also features fashions by Darkspectre Custom Couture, Cats Like Us, Spin Doctor, Isabella Corsetry, Lisa Yamasaki, and more. Plus photography by Le Mew Photography, Laura Dark, Knightmare6, Saryn Christina, Philip Faith Photography, and Jennifer Link, media reviews, music reviews, our Ask Arden advice column, and more! The Fall October/November 2015 Issue is available in Print and Digital Editions which can be purchased from The Auxiliary Shop. Previous PostSummer 2015 Issue Out Now!Next PostWinter 2015 Issue Out Now! 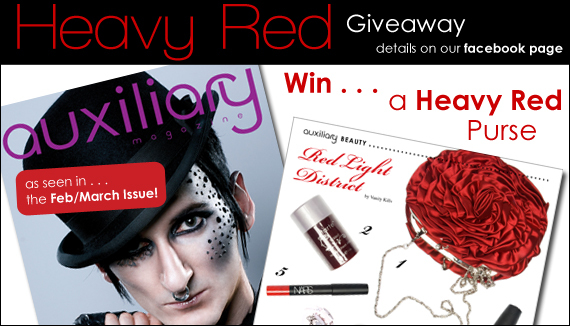 February/March 2010 Issue Out Now! 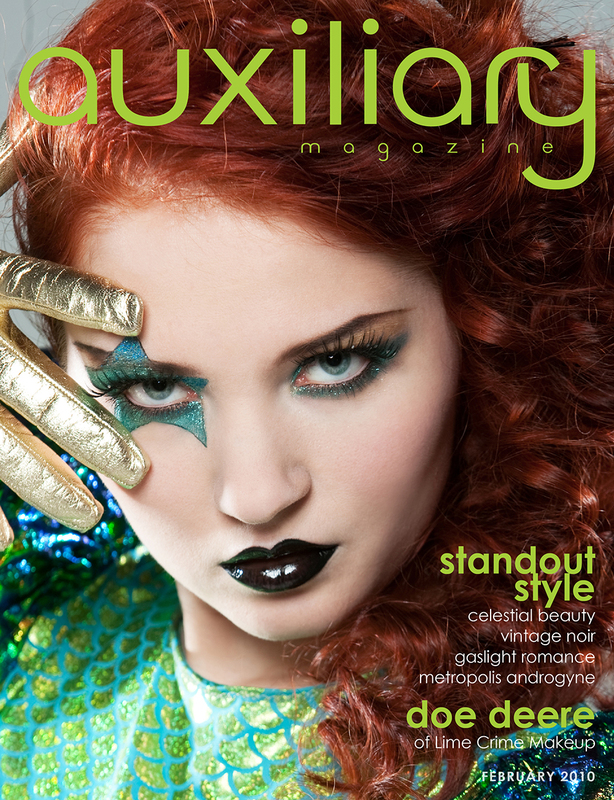 The February/March 2010 Issue features Doe Deere of Lime Crime, Tim Burton, Kerosene Deluxe, Iszoloscope, and more.